Cricket Valley Energy Center, LLC, announced today the successful financial close for the construction of the $1.584 billion Cricket Valley Energy Center, a fully-permitted approximately 1,100-MW combined-cycle natural gas electric generating facility located in Dover, New York. The investors in this project, who are providing $709 million in equity commitments, include JERA Co., Inc. (half-owned by each of Chubu Electric Power Company and TEPCO Fuel & Power); TIAA Investments; Advanced Power AG; BlackRock Financial Management Inc.; Development Bank of Japan, Inc.; and NongHyup Financial Group (under the direction of the National Agricultural Cooperative Federation of Korea). Additionally, GE Energy Financial Services, Inc.; BNP Paribas; Crédit Agricole Corporate and Investment Bank; Bank of America, N.A. ; CIT BANK, N.A; Industrial Bank of Korea; Shinhan Bank, New York Branch; Industrial and Commercial Bank of China Limited, New York Branch; NongHyup Financial Group; National Australia Bank Limited; Siemens Financial Services, Inc.; and Sumitomo Mitsui Banking Corporation are providing $875 million in funded debt facilities. 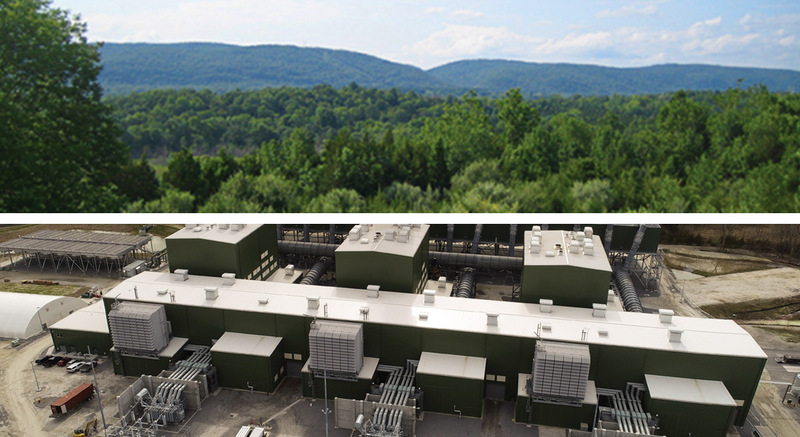 Cricket Valley Energy Center is strategically located adjacent to the Iroquois natural gas pipeline and will sell energy, capacity, and ancillary services to the New York Independent System Operator (NYISO) energy market with interconnection through Con Edison’s nearby 345 kV transmission line. The facility will use General Electric gas power equipment to produce enough electricity to power approximately one million homes in the Hudson Valley. “As the largest equity investor in the project, JERA’s mission is to make active contributions to ensure an internationally competitive supply of power and energy,” said JERA President Yuji Kakimi. “We are pleased that this project will help provide New Yorkers with one of the most energy efficient, natural gas generating facilities in the United States. Bechtel, a global leader in the design and execution of complex power projects for more than 60 years, will undertake the engineering, procurement, and construction of the energy center. The facility is slated for completion in the first quarter of 2020. The project will create 1,100 jobs during its peak construction period and 80 permanent and indirect jobs when the facility is operational. Advanced Power AG, which led the development of the facility, will be the construction and asset manager.